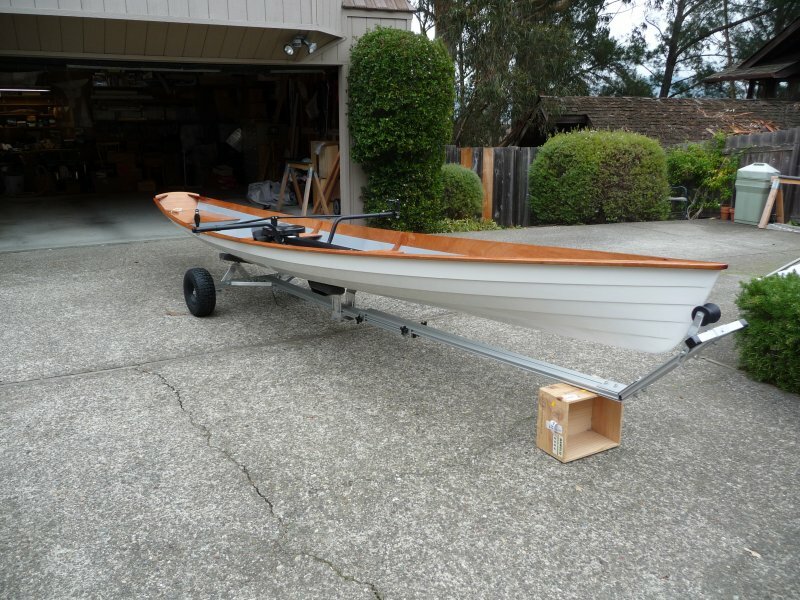 Kwei U, of Mill Valley, California, had built model boats and airplanes for 50 years before deciding to build a full-sized boat. 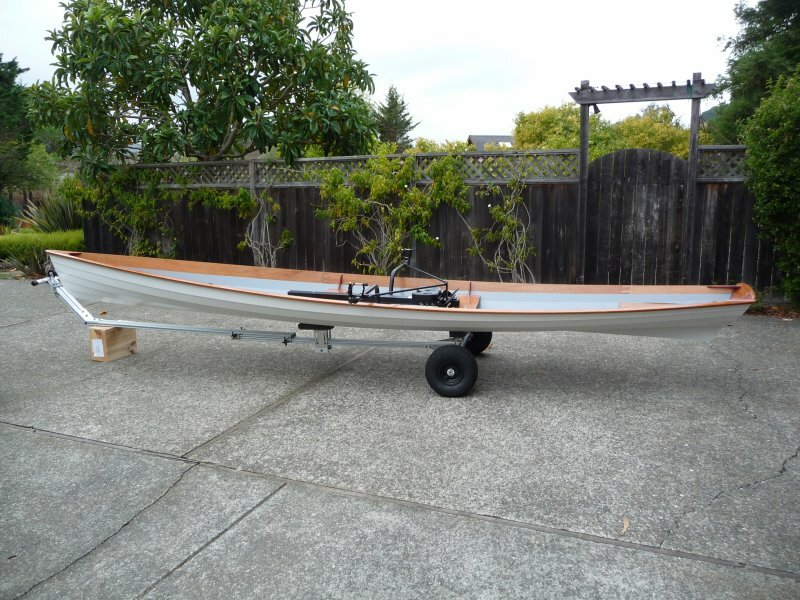 For his first build, he chose a 17′9″ Annapolis Wherry designed by Chesapeake Light Craft. Kwei reports that he spent about 130 hours on the construction, not including thinking and planning time. His friends lent him tools and his car lost its garage space for the duration of the build. 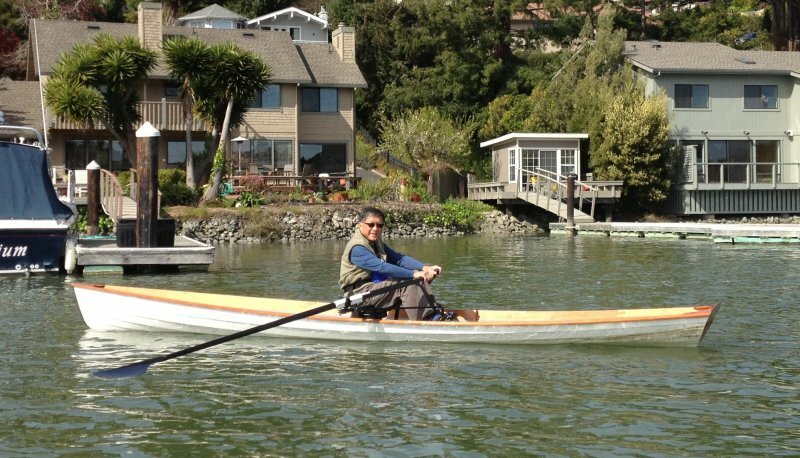 In early 2013, Kwei launched his wherry on Richardson Bay, which is the part of San Francisco Bay between Tiburon and Sausalito. 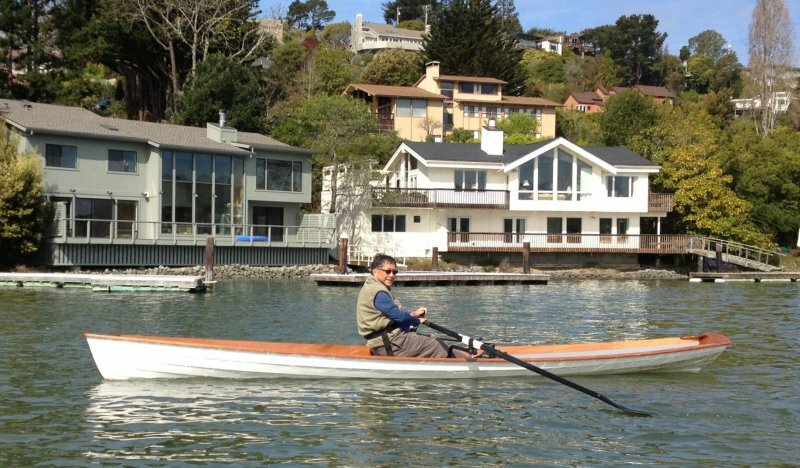 Don Bekins took these pictures of Kwei rowing on the bay. 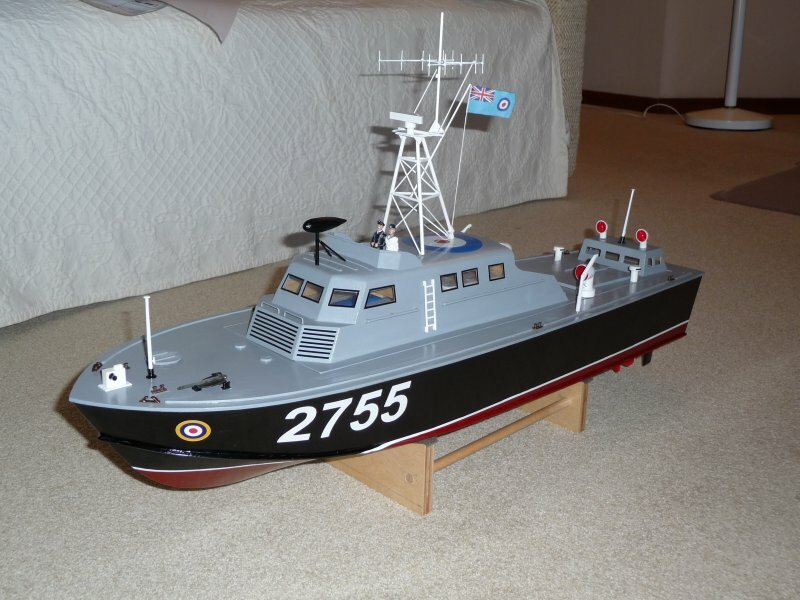 As he worked on the hull, Kwei found that he prefers working with smaller pieces of balsa wood on his models rather than large epoxy-covered planks of marine plywood. The last picture here shows Kwei's latest model creation.